This policy applies to all regular staff who are hereafter referred to as employee(s). This policy guides supervisors and employees in addressing the need to improve performance, including problems in fulfilling the duties of a position and conduct that violates university policies, procedures, or practices. The policy is based on the principle that performance problems ordinarily are correctable, and responsibility for improvement is shared by both employees and supervisors. In accordance with New York State employment-at-will laws, the provisions of this policy do not constitute or imply an employment contract. Supervisors must communicate performance problems to employees and document the communications. If the issue is a result of lack of skills or knowledge, supervisors are expected to arrange for necessary training. Employees are responsible for fulfilling the duties and responsibilities of their positions, as outlined in their job descriptions. 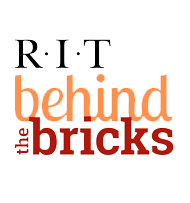 Employees are responsible for abiding by university policies, procedures, core values, and the RIT Honor Code. The performance improvement process is initiated by taking corrective action as a result of a series of issues/incidents or one serious issue/incident. The process is typically progressive, however, when determining corrective action, a supervisor - in consultation with the Human Resource Services Manager - may move to an appropriate action as warranted in the specific case, up to and including termination of employment. Coaching may serve to correct performance issues and typically includes reviewing job requirements, communicating the performance issue in specific terms, seeking to understand the employee's perspective on the issue, and engaging the employee in developing job-related objectives to achieve. Supervisors should contact their Human Resources Services Manager to assist in this process. In addition, supervisors should document and maintain records of all such coaching meetings and send follow up e-mails summarizing conversations and outlining expectations for performance. If the nature of the issue warrants, or if performance does not improve as a result of verbal coaching, a performance improvement plan may be issued. Copies of all performance improvement plans must be provided to HR for an employee's personnel file. A performance improvement plan should include 1) specific areas requiring improvement, 2) the length of time (usually a maximum of 90 days) the plan is in effect, 3) expectations for performance including outcomes , deadlines, and measures to determine if the plan is successful, 4) an acknowledgement statement, and 5) areas for signatures of the employee and supervisor acknowledging the delivery of the performance improvement plan. Meet with the employee to review the plan, convey the seriousness of the issue, and answer any questions. Secure the employee's signature at the end of the meeting. If the employee refuses to sign the plan, indicate this in the signature area of the document. Provide a signed hard copy of the plan to the employee. Retain a signed hard copy. Forward the signed original plan to Human Resources. A final written warning may be issued to an employee when verbal coaching and performance improvement plan processes are not successful, or as a separate corrective action. Prepare and review the final written warning with a Human Resources Services Manager prior to discussion with the employee. Meet with the employee to deliver and review the warning, convey the seriousness of this action, and answer any questions. Secure the employee's signature at the end of the meeting. If the employee refuses to sign the warning, indicate this in the signature area of the document. Direct the employee to contact their Human Resource Services Manager to review the final written warning and be sure the employee's questions are addressed. Provide a signed hard copy to the employee. Retain a signed hard copy. Forward the signed original to Human Resources. Depending on the severity of the issue, corrective action may take other forms. Supervisors must review such actions with their Human Resources Services Manager prior to implementation. A suspension is defined as a temporary cessation of work, either with or without pay. It may be imposed either as a disciplinary action, or as a temporary measure to further investigate a serious allegation which may lead to termination. Immediate suspension also may be used when an employee is disruptive, or when the university considers an employee to be a hazard to others. In such cases, Public Safety should be notified immediately for assistance and further guidance. All suspensions must be reviewed and approved by the Assistant Vice President of Human Resources prior to implementation, except in instances of immediate disruption or hazard. In such instances, the supervisor who has made the decision to suspend must notify the Assistant Vice President of Human Resources as soon as possible after the suspension. If an employee is suspended without pay pending investigation, and the university determines the allegations are not founded, the employee will be given retroactive pay at the regular rate of pay from the date of suspension. Such pay includes shift differential. Under certain circumstances, transfer to more suitable work which the employee may reasonably be expected to perform may be considered. These circumstances may result in a demotion from the current position. It is important to note that a position must be open and available. The supervisor should agree that the employee would be more successful in another role. Other forms of demotion include withholding or deferring of salary increases or demoting an employee in title. Under this policy, employees who believe appropriate procedures have not been followed have the right to exercise the staff grievance policy. Termination of employment may result from, among other reasons, performance issues that are not corrected or employee actions that violate university policy or are otherwise serious. In cases where the nature and severity of the issue and/or a history of past infractions warrants, termination may be immediate. Adequate written documentation must precede any termination. In addition, all terminations must be reviewed and approved by the Assistant Vice President of Human Resources prior to implementation.